Two distinctive finishes set this three piece occasional table set apart from the crowd. Bring warmth to your living room with the cozy, inviting look of the light brown finish. A rich cappuccino finish polishes each piece and provides a more contemporary alternative that's ideal for modern styles of decor. 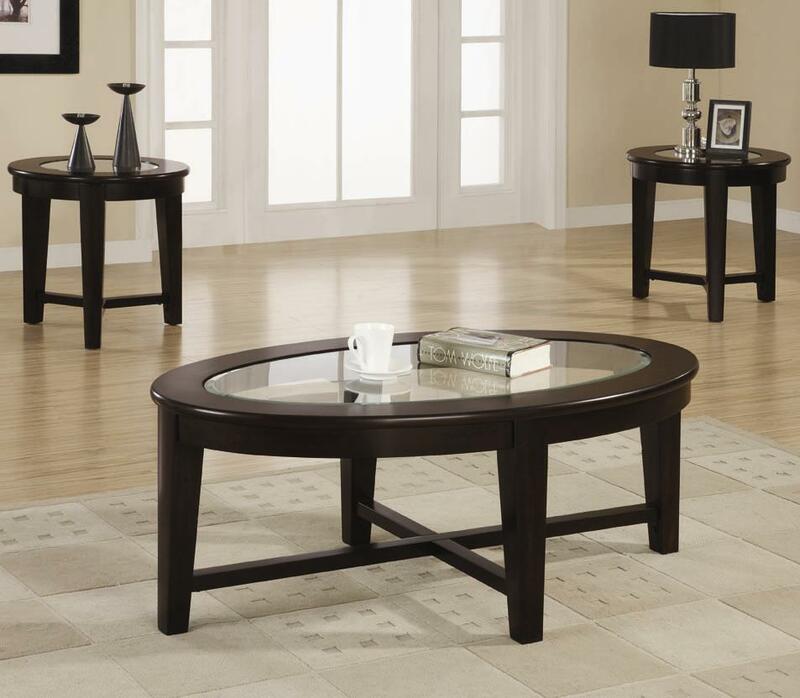 Tempered glass inserts crown the tops of the oval coffee table and two round end tables. An X shaped stretcher binds each table's sturdy tapered legs together and adds even more structural appeal to the entire set. Smooth, rounded edges make this three piece end table set a perfect fit for unusual layouts and compact spaces. The Occasional Table Sets 3 Piece Occasional Table Set with Tempered Glass Insert by Coaster at Corner Furniture in the Bronx, Yonkers, Mount Vernon, White Plains, Manhattan, NYC, New York area. Product availability may vary. Contact us for the most current availability on this product.